Why do I strongly believe that before starting any “U-process dive” (coaching intervention) we need to create impeccable container? At the very beginning, I want to point out that this writing comes purely from my experience and practices in the real world. As a catalyst, my work liberates creativity, innovation and productivity in people and organizations by choreographing (a word I use for designing) transformative journeys, using the methodologies such as “U-theory”, the Diamond Approach and the generative dialogues models described by David Bohm, Bill Isaacs and Nick Udal. For simplicity, in the rest of the text, I will use the term “U-proces dive” every time I refer to these coaching processes. …Leadership is the capacity to create and maintain a container of safety, support and cooperation, in which there is a room for a lot of different transformational ideas. What does he mean by “container”? In the context of a “U-process dive”, he means the “space – vehicle” that needs to hold the creative tension. Space where people can feel safe and can relax to the point of flow and collective thinking. Such a container is essential to take the “travelers”, on the co-creative transformative, re-invention journey. Consider it as a boat if you like. If the boat is prepared with care and is so to speak waxed, water tight and has no holes, it can hold the people throughout the stormy periods (that manifest in form of feelings such as fear, frustration, anger, not-knowing, impatience, hate) etc. If the container is not safe, the “U dive” will not hold the tension, people will retrieve in their comfort zones, and chances for creativity and innovation to emerge are close to zero. The journey will simply collapse. When are we building and holding the container? Our experience showed us that the building of the container happens many days and months before the actual “U process dive”. Whether that is a short meeting form, or a long and complex culture transformation process, more you invest in the preparatory stage of the container building, it seams the better. Pre intervention container building is as important as holding it during the actual intervention. The primary responsibility for building of the container belongs to the catalyst and the leadership team of the system. What difference, holding the container makes? In my work with my partners I often use a short form of a “U process dive” for our work meetings, where we are holding the space between us. The meeting always starts with presence practice, than we dive for about 20-30 min by inquiring in the key questions that concern us. We than stop and slow down at the bottom of the U. We then continue with the generative dialogue and sense what is emerging. If it feels right we take action on what is energetically calling us. 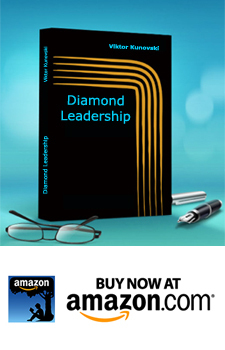 (This full process is described in the Diamond Leadership Book). Recently in one of those “held” meetings, my colleague shared an information about a project she was involved independent of me. At the end of the meeting we noticed how much energy and interest we both had over that project, so we decided to give it more attention. We actually started to hold the space and build the container around this project. We had 2 separate meetings dedicated to it. The effects were immediate. She reported that before the “holding” she was only involved on the project on a superficial level. After the ‘holding meetings” the project become an attractive and exciting opportunity in which she now engages fully. Incredibly, I also joined the project. What about the core energy in the container? If the example above was on the positive side, where we followed the inviting and abundant energy – which is always a very good sign to watch when building a container for a project, meeting or intervention, we also had an opposite experience. We planed to design a choreography for an event before the Christmas period. We announced the event weeks in advance and we had plenty of time to prepare for it and hold the space. As we were approaching the event date, we noticed that we both feel lack of energy towards the event. We were also lacking engagement from the participants. Was it the Christmas mode, we wondered? Whatever it was, we both shared a feeling of weakness and lack of energy towards the event. So we decided to cancel the event. Few months after, we shared our experience with our wider circle, and we asked them to support us in holding and building the container for the next event, which turned to be a great learning and transformative experience. The lesson we learned was: Do not start the “U process dive” if the core energy in the container does not feel right. Very helpful. What presence practice do you use, Victor? Since 2009 I am a student of the Diamond Approach, a contemporary personal development school, where our key presence practice is so called “sitting” as well as a form of belly meditation.